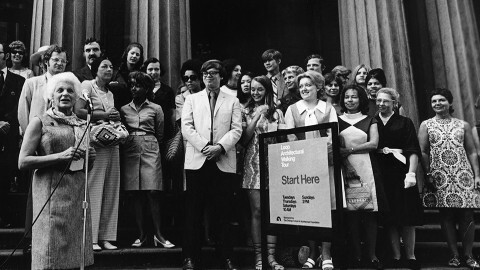 Formerly known as the Chicago Architecture Foundation, the Chicago Architecture Center is a nonprofit cultural organization with tours, exhibitions, programs and events for all ages. Our mission is to inspire people to discover why design matters. The Chicago Architecture Center (CAC) was founded in 1966 as the Chicago Architecture Foundation to save the historic Glessner House. 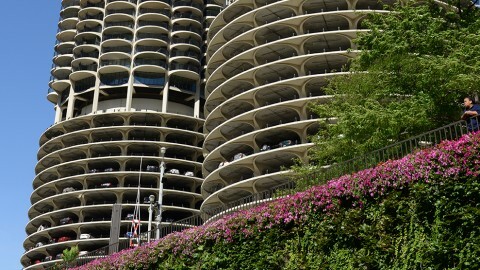 Since then, the CAC has grown to become one of the largest cultural organizations in Chicago. For more than 50 years, our educators, 450 volunteer docents and 150 guest services volunteers have shared the stories of Chicago architecture with millions of Chicagoans and visitors. In 2017, the CAC served nearly 690,000 people. 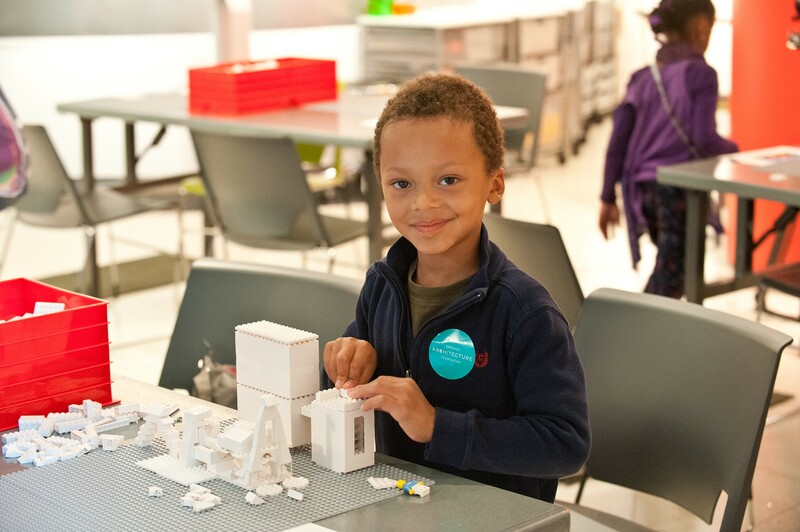 Starting August 31, visit the CAC at 111 E. Wacker Dr. to view our 4,250-building scale model of Chicago, shop in our award-winning store or participate in a fun family event in our ArcelorMittal Design Studio. 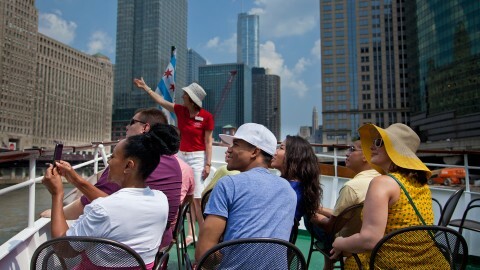 Or choose from 85 tours by boat, walking, bus or “L” train. Tours depart daily and are led by CAC's expert, volunteer docents. Every October, check out the CAC's free annual Open House Chicago festival. Proceeds from the CAC’s tours and store, as well as grants, sponsorships and donations, support our educational mission. 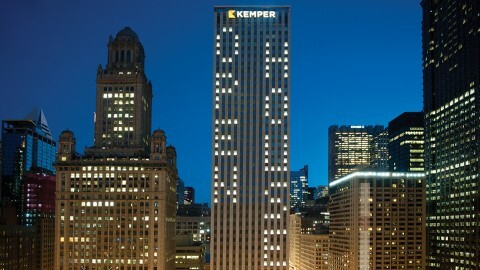 The Chicago Architecture Center inspires people to discover why design matters. 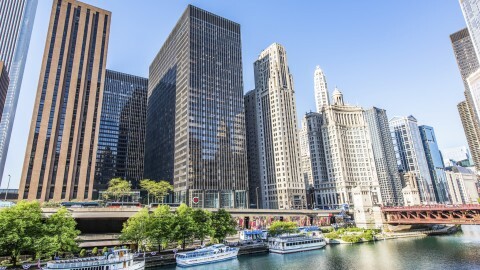 The Chicago Architecture Center is the leading organization devoted to celebrating and promoting Chicago as a center of architectural innovation. 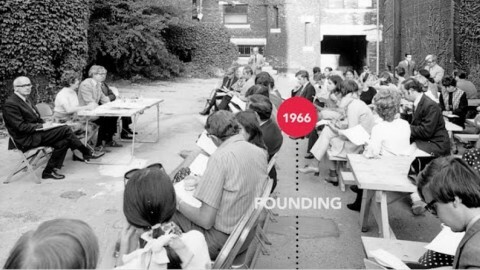 As Chicago’s forum for the exchange of ideas on urban design, the CAC inspires people to participate in the building of vibrant communities and to demand the highest standard in urban design. 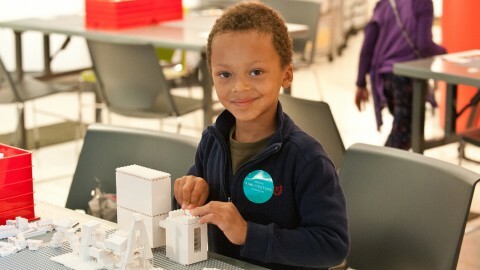 The CAC awakens young people to achieve their potential through the discovery of architecture, engineering and design. 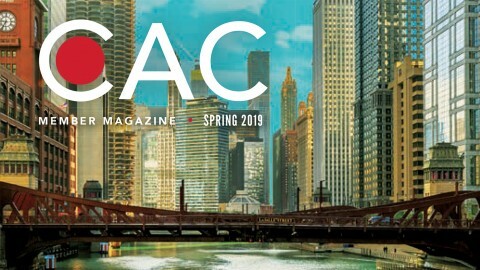 The CAC publishes a quarterly magazine, especially for our members. Read more about what's going at the CAC in the most recent edition. A group of volunteers joins together to save H. H. Richardson’s Glessner House from demolition. 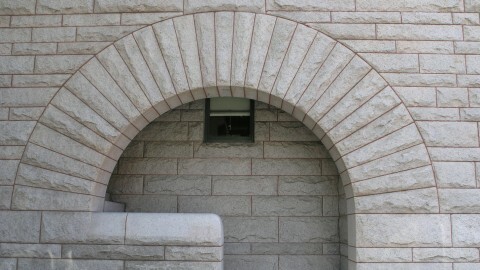 This effort led to the founding of the Chicago Architecture Foundation. The first class of 33 docents graduates from the CAF training program and begins to lead walking tours. 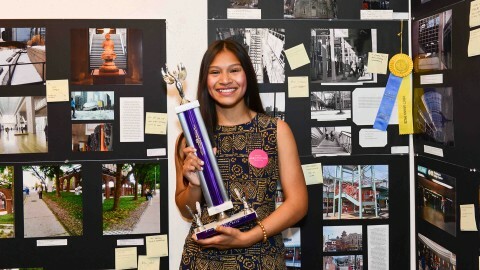 The Newhouse Architecture Competition for high school students begins. CAF launches the first river cruise about architecture. 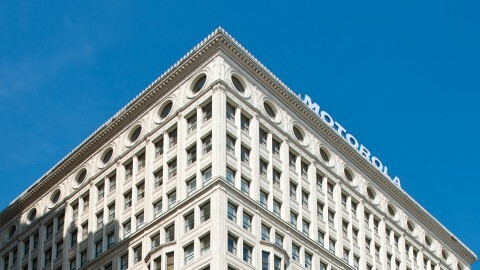 CAF moves to the Railway Exchange Building at 224 S. Michigan Avenue. 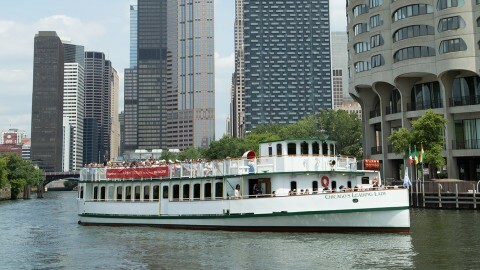 The Chicago Architecture Foundation Center River Cruise aboard Chicago's First Lady is born! 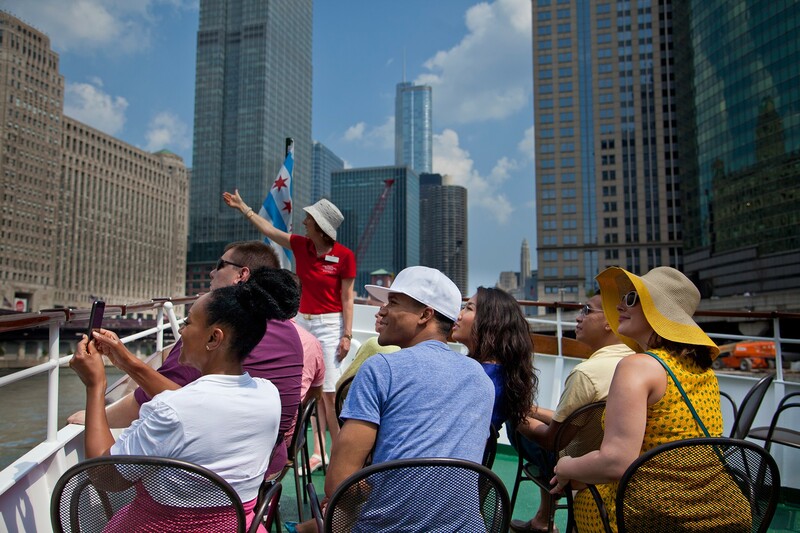 Still running today, the river cruise is consistently voted the #1 tour in Chicago. 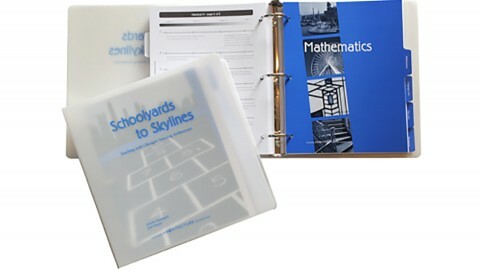 The award-winning “Schoolyards to Skylines” K-8 curriculum is published. The 320-square-foot Chicago Model is completed, featuring 400 blocks of the city and more than 1,000 Chicago buildings in miniature. CAF hosts the inaugural Open House Chicago, a free citywide weekend festival—now the largest architecture event in the country. The ArcelorMittal Design Studio opens to serve as a collaborative learning space for students and families. 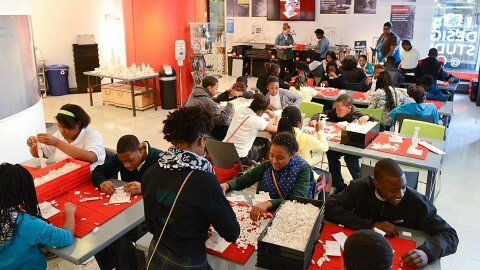 LEGO® donated 500,000 bricks for use in the space. 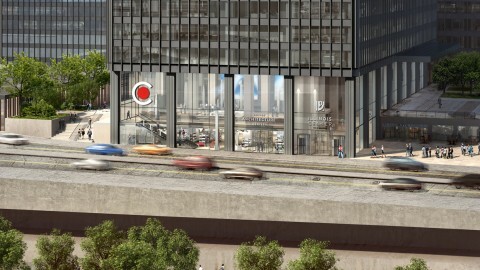 The Chicago Architecture Center opens at 111 E. Wacker. With exhibits, programs and events, the Center is a hub for all things architecture and a starting point for many tours.